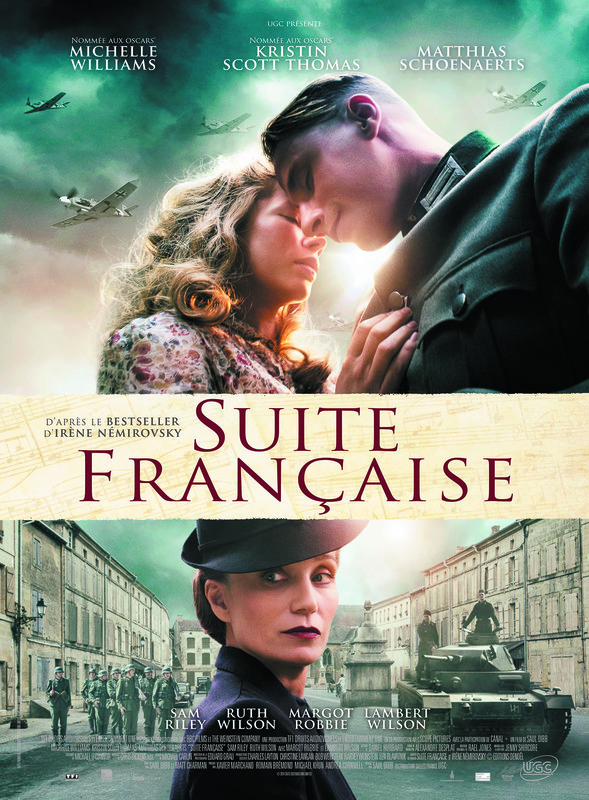 Up front, I’ll admit that I am not a fan of Gustave Flaubert’s novel, on which this movie is based. 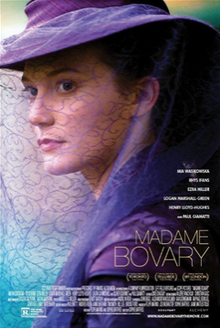 Nor am I a fan of Emma Bovary; I like her even less in this adaptation. The one exception is that the movie portrays her much more as having been lured into spending lavishly by a man (played marvelously by Rhys Ifans) who convinces her, time and again, to dig herself deeper and deeper into a financial hole. With the changes the screenwriters have made to the book (Emma doesn’t have a child, for example), it feels more like Emma is spending money and having affairs as much because she is bored as because she is looking for love. Yes, yes, Charles Bovary is a bore. But he’s not cruel nor does he rule with an iron thumb. It feels like Emma has some leeway. Yes, I understand she wants more than she has; but I really just want to slap her and tell her to get over it. Make some effort to find happiness where you’ve been planted. Also, is Mia Wasikowska now the queen of movie adaptations of classic books, after starring in the Alice In Wonderland movies, Jane Eyre, and now Madame Bovary? 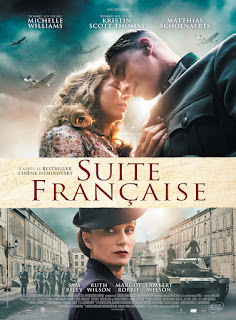 This movie is beautifully filmed, the costumes are amazing, and the settings more true of life in rural France than most adaptations of books set in this time period are so the movie has that going for it. If you are a fan of the book, I’m not sure how you’ll feel about the movie given the changes to the story. If you’ve never read the book, I think you’d have even less patience for Emma than I had. This movie is based on the book by the same name by Irene Nemirovsky, who was writing the book as part of a five-part project. She died in the Holocaust before being able to finish her series. I have never read the book so I can’t report back to you as to whether or not the movie lives up to the book. Given the praise the book has received, I suspect not. 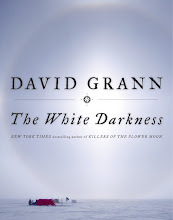 It’s an interesting story; it may well be a story that played out where enemy soldiers billeted in invaded lands. The cinematography is beautiful, the sets well done, and the movie touches on the many issues that arose in these situations. But the movie lacked the level of tension that would have made it feel true; it by and large only hinted at the atrocities that German soldiers committed and the repercussions of the collaborators actions. Michelle Williams is usually so good but there was mostly a lack of passion in her performance. Even so, both the hubby and I did get invested enough to want to watch to the end. Now to pick up the book. 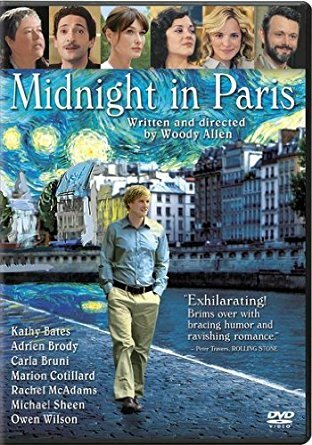 I’ve watched this movie three times now and (even though I have serious moral issues with Woody Allen) still find it charming and quirky and fun. I love the fact that Owen Wilson’s character gets to rub elbows with so any of the great writers and artists of the twentieth century. I even like the way his portrayal of Gil blends both Wilson’s usual persona and Allen’s usual persona, both of which can grate on my nerves. Rachel McAdams, Tom Hiddleston, Corey Stoll, Adrian Brody, and Kathy Bates all seem to relish playing their characters. Marion Cotillard is, as always, wonderful and incandescent. You know I’m not a fan of time travel in my reading so the fact that I like this movie so much should tell you something about how well it’s done. And Paris is so very much a character in the movie. When I’ve watched the movie before, there was a character that I kept thinking looked so familiar. This time I looked her up; she is none other than Carla Bruni, wife of Nicolas Sarkozy, former president of France. I’ve seen this movie several times; in fact, we own it. But this was the first time I’ve ever watched it by myself, late at night. I had to stop watching the first night because it was too “scary” for me to watch. And now you know why I don’t watch actual scary movies. It also says something of the mood the creators of the movie achieved. The settings, the costumes, the staging are all so good. This is the first time I’ve really thought about the singing as I’ve watched the movie, and who was actually doing the singing. Minnie Driver as Carlotta? Not doing the actual singing. I don’t know what Minnie Driver’s voice sounds like but Carlotta requires a powerhouse operatic diva’s voice so choosing Margaret Preece to sing that part was a good choice. Emma Rossum as Christine? She is doing her own singing, as is Patrick Wilson as Raoul. Both are so good I assumed their singing parts had been done by others as well. Gerard Butler as the Phantom? Yep, that’s his voice. Why? His singing is what made me check to see who had sung their own parts. Otherwise, I would have assumed the producers had decided to farm out all of the singing. Since the producers had already chosen to do a voiceover for Driver’s role, why didn’t they choose to do that for Butler? He’s not bad but it’s too big of a role to hand over to someone who isn’t terrific. Despite all of the action in this movie, sometimes it gets a little drawn out. Still, music I enjoy, great costumes, a great set, and mostly great singing make for an enjoyable movie. 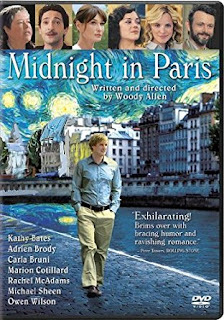 Midnight in Paris is probably the only Woody Allen movie I've actually enjoyed. I like the theme of how everyone thinks there is a better time back in the olden days but everyone feels that way so be happy with the present. Loe that. 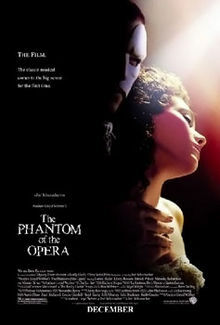 I love the music and the play the Phantom of the Opera but Gerard Butler ruined it for me. He truly cannot sing. I felt like he just spoke most of the lyrics rather than sing them. I wish they had farmed out his voice or gotten an actual singer for his part. So sad. Great movie reviews! I'll have to check out that other French one.